You are currently browsing the category archive for the ‘mining’ category. Lest anyone think I only portray the sunny side of Cornwall, here are some photos of what a cold, damp Sunday in the dead of January looks like in West Penwith. Stopping at a random spot on the St Ives-St Just road, we made a stab for the nearby coast, with visibility at about 10 metres. Porthmoina is what we found at the end of the path, a properly stirring spot, with the remains of a water mill that formed part of the Carn Galva mining operation. It had something of a Machu Picchu about it in the mist… Look, like I said, it is January. If you didn’t catch this week’s episode of Grand Designs, in which Kevin McCloud follows the renovation of a dilapidated Cornish enginehouse from beginning to near-end, you should definitely watch it online here, where it will be available for the next month. Apart from being a fascinating insight into the demands of turning one of Cornwall’s crumbling mining remnants into a home, with the attendant historical and physical challenges, the programme is a lovely little portrait of how things work in a Cornish community. Mind-bogglingly multi-skilled stonemason Adam Purchase manages to make it all happen on an improbably small budget. He achieves this mainly by being generally adaptable and creative but also by calling in favours from neighbours and friends with skills (while giving out favours just as generously), mate’s rates, and gentleman’s agreements. At one point, one of the helpers says ‘Who needs that cash stuff, eh?’ and I think that’s my favourite line of the show. Well, it’s a good job really, since there’s bugger-all of it in these parts! Did anyone work out where it was? I didn’t. This photo blog post has come in today from Mexico care of p&c hermana Jen. Far away in the Mexican province of Hidalgo, there is a little corner of Kernow called Real del Monte, twinned with Redruth. It’s a community steeped in Cornish culture, thanks to the pasty-munching influence of some 350 Cornish miners who ran the local mines in the early to mid 19th century. What do you make of these pics? Not mine, sadly. It’s great to see this crisp, modern new website that has been launched to educate and inspire people about Cornish Mining World Heritage – it’s so good, it was even ‘site of the week’ in New Media Age last week. 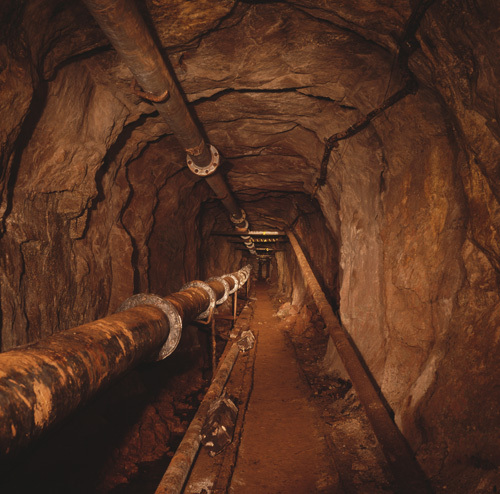 I’ve noticed that most things to do with mining history in Cornwall are accompanied by a crappy low-res website that hasn’t been updated since, well, the beginning of the internet, and grainy, uninspiring photography. And it always strikes me as a bit of a shame, since mining heritage of Cornwall is not only scenically pretty mind-blowing but also internationally highly significant, yet it seems to get rather overlooked by all but those with a corduroy-trouser specialist interest. Myself included — the insufficiently informed Cornishwoman, that is, not the corduroy wearer. It is with kind permission of Cornish Mining that I am able to publish these superb images on p&c. Picking them out from their image gallery was a task that I indulged in for way too long to the detriment of paid work, and in the end I went for some classics such as Wheal Coates near Aggy and Botallack from above [er, wow], as well some little-known sites such as Wheal Trewavas and South Wheal Frances. Hope you enjoy them as much as I did — there’s tons more gold ore on the website. Time to click on the ‘Delving Deeper‘ tab perhaps! 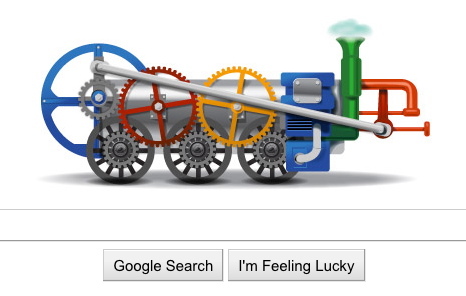 Cornwall is in the spotlight on Google today – check out Richard Trevithick’s google-ised steam loco, to commemorate his 240th birthday.